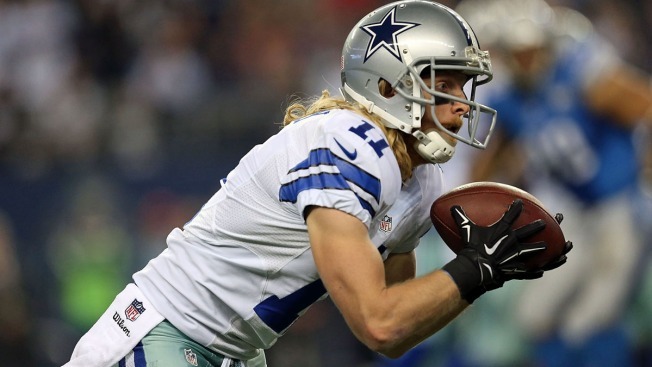 It had been darn near a month since Cole Beasley had caught a pass for the Dallas Cowboys. After Dez Bryant was injured in the Cowboys' opener, he was one of the guys that was seemingly going to benefit from it with more passes thrown his way and subsequently one of the guys who had to step up and Bryant's absence. But in Bryant's second game back from a broken foot on Sunday night, Beasley went off to the tune of nine catches for 112 yards and two touchdowns, as he showed a newfound chemistry with current starting quarterback Matt Cassel, who actually had a pretty good game other than a crucial pick-six. It was the type of game the Cowboys had been waiting to see from Beasley, and with Bryant also having a good game it appeared that's what Beasley needed to make him the secondary option in the passing game again. Less focus from the secondary equaled more production from Beasley, and it could be a sign of things to come from the pint-sized Little Elm native. Unfortunately for the Cowboys and Beasley, it appears last night's performance was too little too late given the fact the result was a sixth straight Cowboys loss.